So, remember how last week I wasn't feeling all that well? Part of that was because I had quite a remarkable toothache. I mean, really astoundingly awful. After a few days of grumbling and groaning and popping ibuprofen like smarties, I finally went to the dentist. (I love my current dentist but I've had a lifetime of bad nightmare dental work so this whole adventure was disquieting) She mashed on my face and poked my teeth with various implements and then said something like, "Well, all the pain you're feeling in your top teeth is most likely sinuses but it looks like you might need a root canal on the bottom." She then sent me to an endodontist who performed similar poking techniques and then said something like, "Yeah. This looks pretty root-canal-y but maybe it's referred pain from the sinuses." So basically my inside face parts are waging war on the rest of my mouth/throat/chest. I went to the doctor yesterday who also performed various poking maneuvers and then said something like, "Yeah. These inside face parts are pretty bad off. I'm going to go ahead and put you on all the antibiotics ever." I love Sagan's literary jaunts and I first read this one about ten years ago via my now-husband's already well-worn paperback copy. Over the years, it always seemed to somehow meander into the living room and one of us would skim it or carry it to an appointment or wherever. Last week, I just decided to go ahead and re-read the whole thing again. It was really nice. Like an old blanket. Does that make sense to you? Do people who aren't me also appreciate old blankets? I can never tell. Anyway, in spite of some out-dated information (this is a science book from 1979) the real joy in reading Sagan's work is his sense of wonder and his enthusiasm for science, logic, and skeptical inquiry. 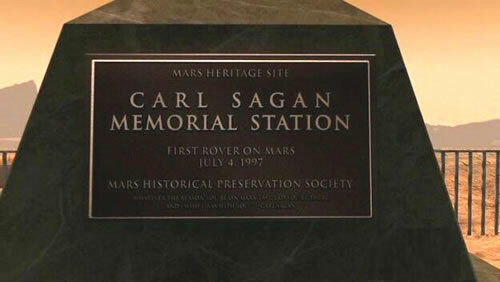 Oh, and his future memorial station on Mars. That's pretty cool too. 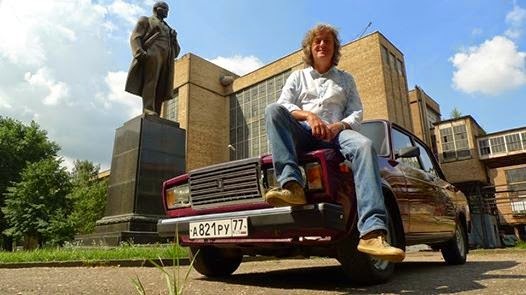 Guys, I freaking love James May. His cranky-old-man-ness is something I can really identify with and his penchant for rambling on about history through the lens of pop culture is really something I can get behind because, I kind of did a year of that and it was awesome (for me.) Anyway, this mini-series is all about the history of the spread of cars from the elites to the everyday guy and gal. It's a bit of a spin-off from Top Gear and has the same production values and clever editing mixed with May's quirky sensibility. 3- Doctor Who: SSN 8, ep 2, "Into The Dalek"
Alright, folks, I'm a bit sick of Daleks at this point and felt we could use about a two-year-long-break from them wasn't super looking forward to this but, I actually really enjoyed it. 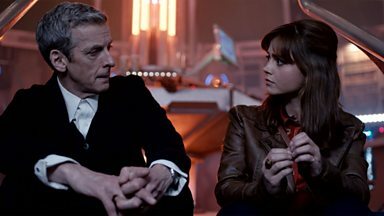 It presented the Doctor/Dalek dynamic in a kind of new light and Peter Capaldi shone as a darker, grumpier, old-manier version of The Doctor which, of course, I really enjoyed (see item 2) alongside Clara's intuitive, spunky companion. Additionally, I really loved Mr. Pink (aka- the crying soldier/teacher) and both the actor and character feel super promising to me and it seems like this ex-soldier and our ex-soldier Doctor would be rather good for each other. #1- Bringing back Coal Hill School. I feel like there are more things but my teeth hurt and I have a pile of pills to take so I'm going to go do that. Let me know how your watching/reading week is going? Are you watching the new Who?